The greyhound is thought to have been known to the ancient Egyptians, who bred them for hunting fast-running animals like deer and hare. They are lean, graceful, dogs, and are best known for their speed. They can reach 70 kms per hour. We can guess why the Greyhound bus company chose its name! It gives a fast, sleek image. In England racetracks were built for greyhound racing, people betting on which dog would win. 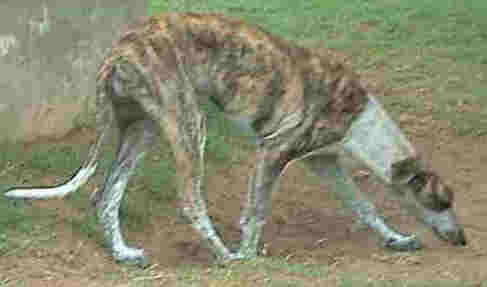 Greyhounds are "sight" or "gaze" hounds. They respond to movement that they see. The dogs see the moving mechanical rabbit at the racetrack and give chase. Greyhound racing used to attract low-class people who gambled away their week's pay. Hence the saying, "going to the dogs." If something is going morally downhill, like TV programs for example, we say it's going to the dogs. Greyhound racing still takes place all over the world. Like all forms of gambling and addiction, it has now been sugar-coated with respectability. Restaurants and pubs have been built at the racetrack to make it appear to be a harmless social outing. Greyhounds enjoy chasing bicycles or anything that moves, so a big fenced yard is required where the dog can run around. They say greyhounds are not dogs, they are athletes! 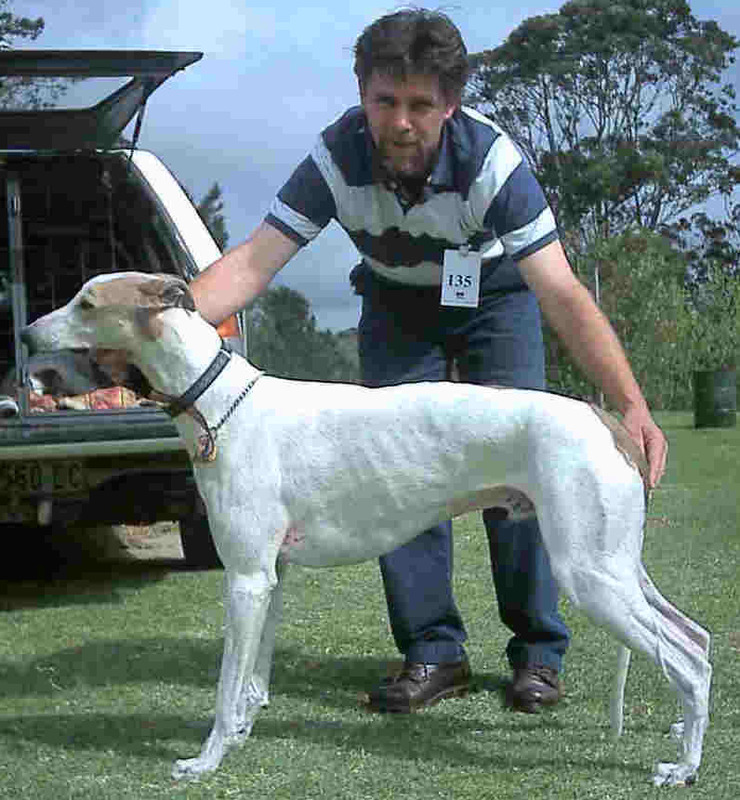 Greyhounds have narrow, pointed heads, and long necks. The back is arched. The tail is long and thin. The coat is short and smooth, needing no grooming. They are good-natured towards people and make loving pets. A cat needs to run pretty fast to get away from a greyhound, so train your dog and set boundaries. No fighting with other animals! Colour: Greyhounds are not always grey! 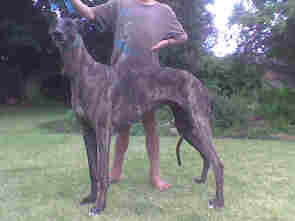 They can be brindle, or any doggy colour and often have white markings. Coat: Short hair - needs no brushing. They feel the cold in winter. Because the coat is so short, the dog has little protection from thorns in the bush. "Let's run with perseverance the race marked out for us! Think of Jesus, who endured opposition, so that you won't give up."